European politicians have announced plans to introduce a standardised plug for electric vehicles in response to the deepening crisis in the European car industry. The announcement, part of the Cars 2020 plan, came as industry bodies warned of further plant closures and job losses in the automotive sector during the “coming months”. Some 11.6 million people are employed by the automotive industry across Europe. The sector contributes 4% to Europe’s GDP, had a €90bn trade surplus and invested more than €26 billion in R&D last year. However, industry experts have long indicated that shrinking demand and production overcapacity will cause a considerably rockier road for the European automotive sector in the future. The warnings were realised earlier this year with a spate of factory closures and job loss announcements by major manufacturers such as PSA Peugeot-Citreon, General Motors and Ford. According to the European Automobile Manufacturers’ Association (ACEA the sector is operating 30% overcapacity across Europe and it is “highly likely” there will be more “significant restructuring plans” announced over the “coming months”. In response to this the European Commission today proposed Cars 2020, an action plan that it hope will help mitigate the downward spiral of plant closures and job losses. The Commission’s plans include streamlining the way automotive research is allocated under the European Green Vehicle Initiative, freeing up the loans available to SME automotive parts manufacturers and creating a “standardised recharging interface for electric vehicles”. 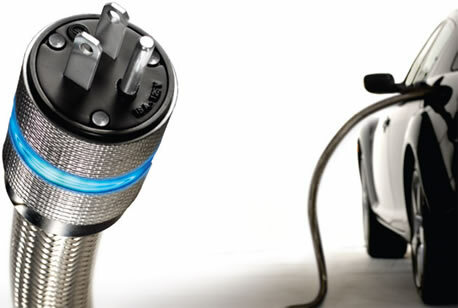 A standardised plug is required and will help mass market penetration for electric vehicles. But there is considerable evidence to show that price and range anxiety are the main barriers to mass market penetration. In addition, in true European fashion a standard plug has caused a lot of disagreement in the past, with the French and Italians promoting their version and calling the German version unsafe. So is this fiddling round the edges? Many industry commentators believe the proposals don’t go far enough. Hodac from the ACEA says it is urgent the proposals are “translated into real action. Although past experience has taught us that this is not always the case.” Also environmental pressure group Transport & Environment (T&E) says the plans “omit key environmental promises” over plans to improve van fuel efficiency, reduce emissions and set fuel economy targets post 2025. It’s doubtful that a standard plug for electric vehicles will stop the rot in the European automotive sector. Unfortunately the harsh cure will be trimming away the problem areas and taking sometimes bitter medicine to get in shape for the future. Next articleWhen does it always rain on me?